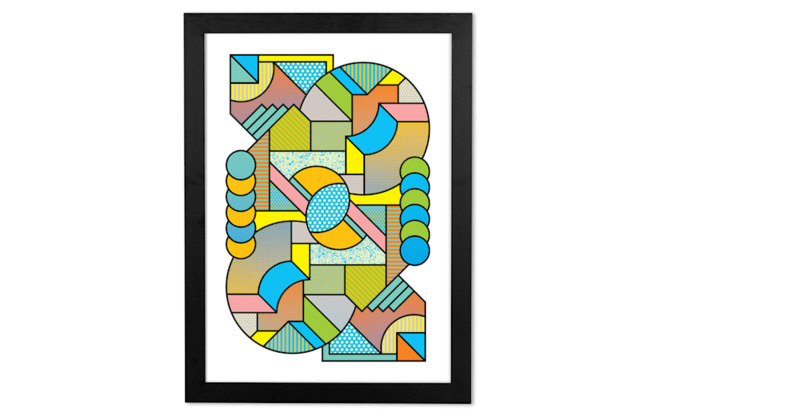 Part of a trio of sweetly coloured prints by Supermundane. Psychedelic hues and shapes melt together for a print you could lose hours gazing at. Supermundane, whose name means ‘beyond earthly things’, started as a graphic designer in the 90s before progressing to art director and now, renowned artist.